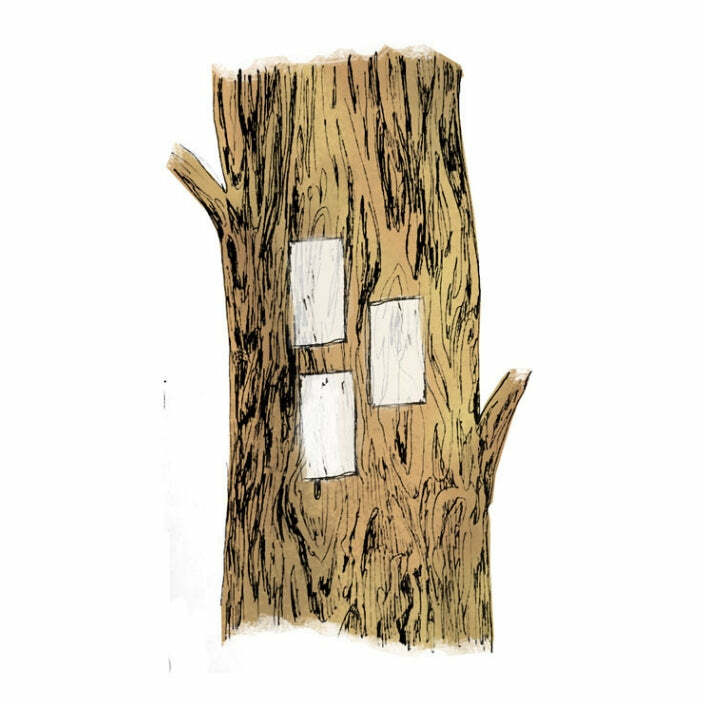 trail markers and trail blazes commonly found in the United States and Canada. 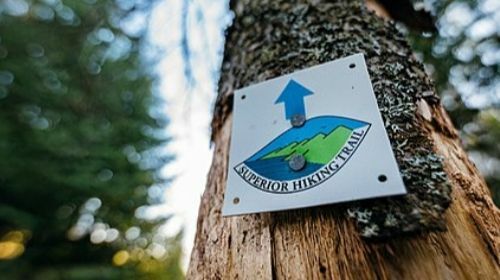 What Are Trail Markers Used For? Trails just don't spontaneously appear. They are planned, built and blazed so people can travel safely from trailhead to summit and beyond. The purpose of a trail marker (or blaze) is to help hikers follow a given path. It is used to indicate things such as the beginning and end of a trail, a change of direction or an intersection. 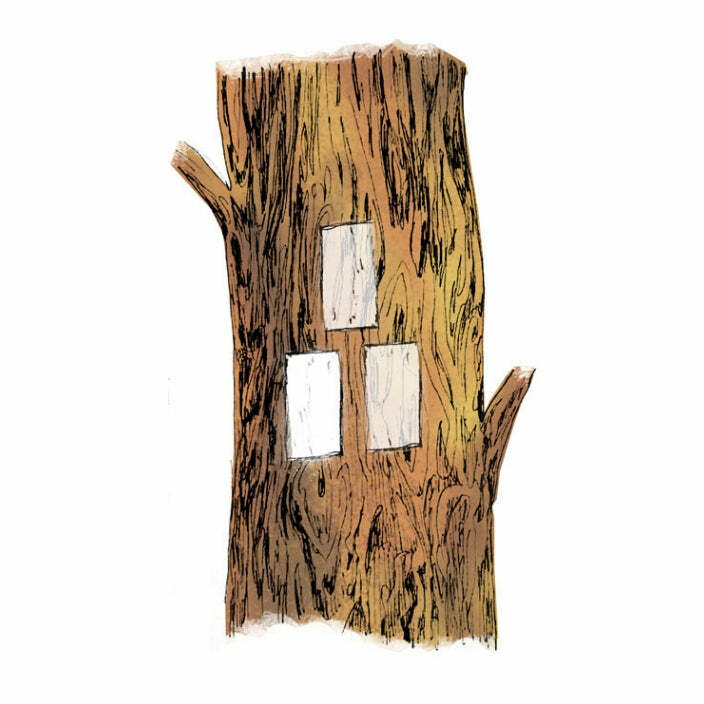 Where to Find Trail Markers? Blazes are found on prominent trees that are easy to spot on the trail. They are usually placed just above eye level - or slightly higher in areas that receive snow. Painted markers are roughly two inches wide and six inches tall, while other types of markers and signs may vary in size. Paint is most commonly used to mark a hiking trail. In the United States and Canada, the standard marking system uses rectangles in different configurations to guide hikers. We're explaining the meaning behind each configuration in the next section of this post. 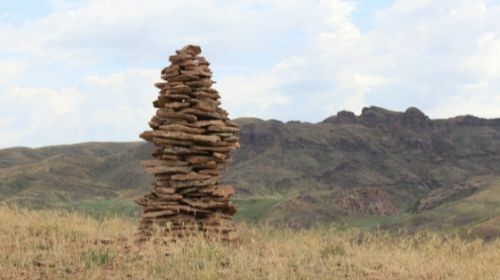 Cairns are piles of rocks that hikers leave alongside their path to mark a trail and guide other trekkers. They are usually found above treeline or in areas where trees are sparse. Cairns vary in height, but they usually rise high enough to stand out from the surrounding landscape and be easily noticed. Smaller stacks of stones (3 to 4) are called ducks. They also make great visual cues for hikers. 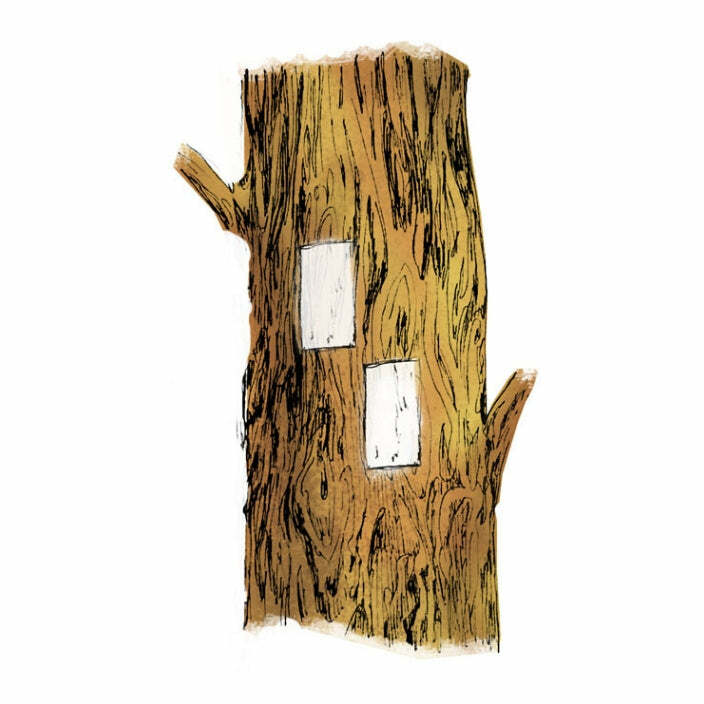 Posts with trail signs or markers are commonly used on ridgelines, rocky outcrops, and wherever else stones and trees are not available. Posts can also be very useful in areas where high snowfall are likely to obscure cairns. 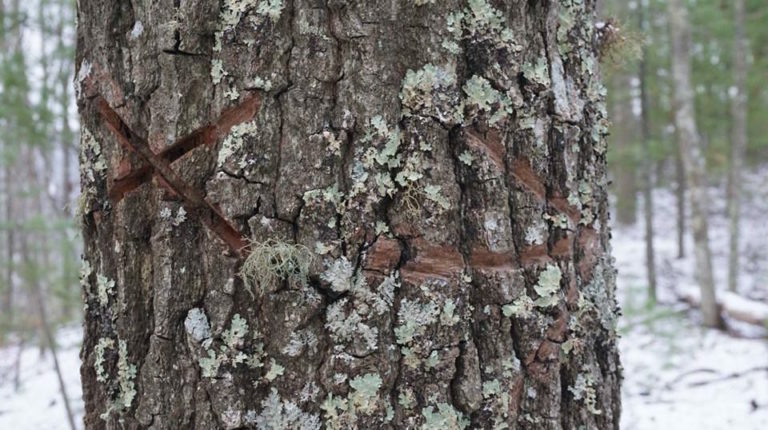 As an alternative to paint markers, some trailblazers use markers made out of metal, plastic or wood that they nail onto trees. Because paint can fade, affixed markers may sound like a more durable approach to trailblazing. However, it is not uncommon for these signs to fall off or get stolen, which is why paint markers still end up being the more reliable option. 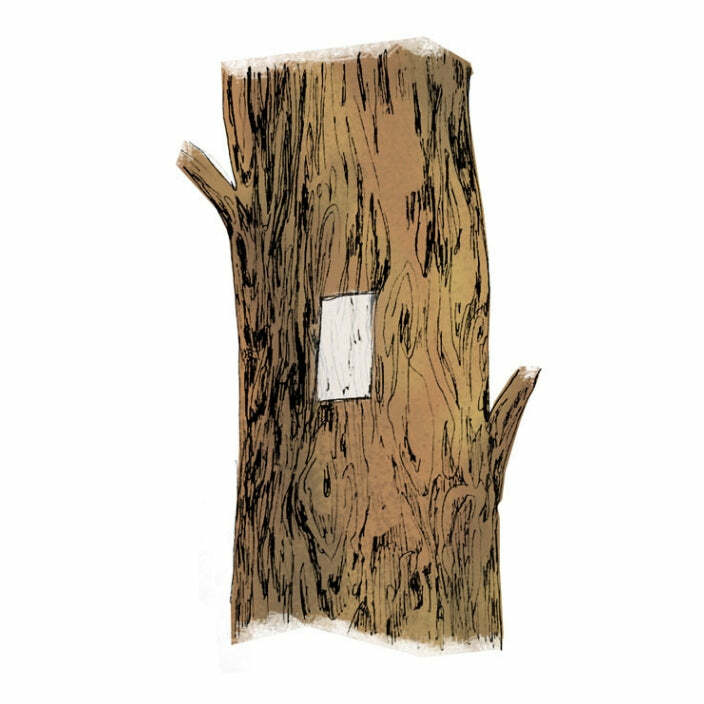 An etching is a name given to a trail sign that is carved into a tree. Although effective, this type of blaze is employed much less frequently than other methods as it causes irreversible damage to the trunks. 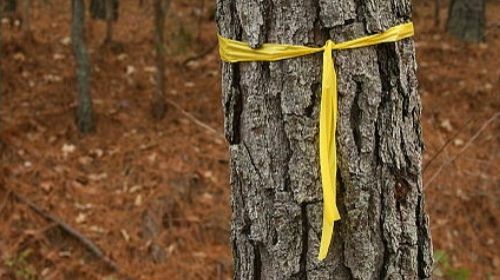 Finally, some trails are blazed with flagging tape or ribbons in lieu of paint or affixed markers. Each flag is tied to a tree branch that can easily be spotted from the trail. Paint markers can be found in 6 different configurations. Each has a different meaning and is meant to indicate which way the trail is going. A single rectangle is a mere indication that you are on the right path. Keep going straight. Two rectangles forming a right diagonal indicate a right turn. If you have a hard time remembering whether you're meant to go left or right, imagine a straight line going through both rectangles. The result would be an axis pointing in the direction of the turn - in this case, right. Two rectangles forming a left diagonal signal a left turn. 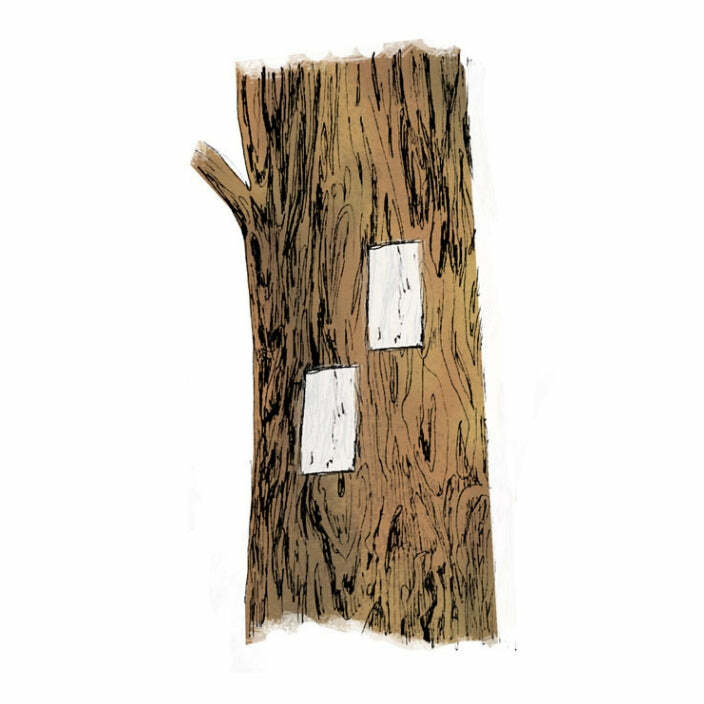 Three rectangles forming an upward-pointing arrow show the beginning of a trail. Conversely, three rectangles structured in an inverted pyramid or downward-pointing arrow mean you've reached the end of the trail. Finally, a marker showing two triangles stacked next to one signal a spur leading to a different trail. In North America, trail blaze colors have no purpose other than to represent an individual trail. In other words, trails are typically marked in a single color from beginning to end. The Appalachian Trail, for example, uses white, while the Pinhoti uses yellow. Blaze colors come in particularly handy when different trails intersect or when dealing with side trails. Because each trail is marked in a different color, it is easy knowing which markers to follow and which to ignore to stay on track. What is the average distance between two trail signs? 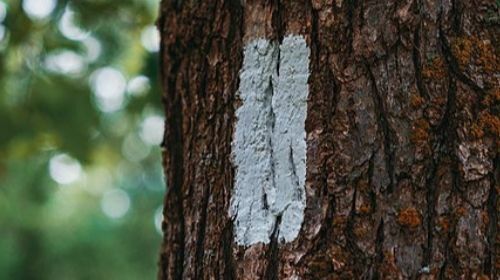 Although the distance that separates two blazes on a trail is highly variable, you should be able to always have some form of trail marker in sight or within short range. If you can’t see one ahead of you, look behind to see if you can spot one in the other direction, as blazes are often painted in both directions on trails that allow two-way traffic. Do they use the same blazing system in Europe? No. The North American blazing system differs from the trail marking standards used elsewhere in the world. Central Europe and Brazil, for example, use the so-called Czech Hiking Marker System. The first thing they teach you when you learn to drive is how to read road signs, so you know how to follow the road. It's the same with hiking. For your safety and peace of mind, it is important you can properly read and understand the markers you’re going to find along trails before taking on another journey. Blazes come in different formats, shape, and colors. 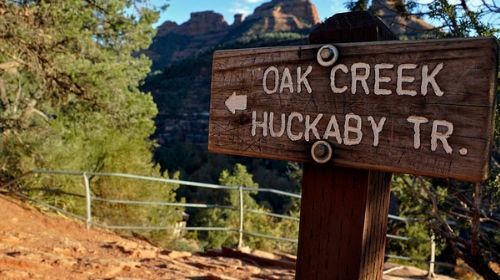 Taking some time to learn the meaning behind the most common trail signs will help you follow the trail without getting confused and possibly lost. 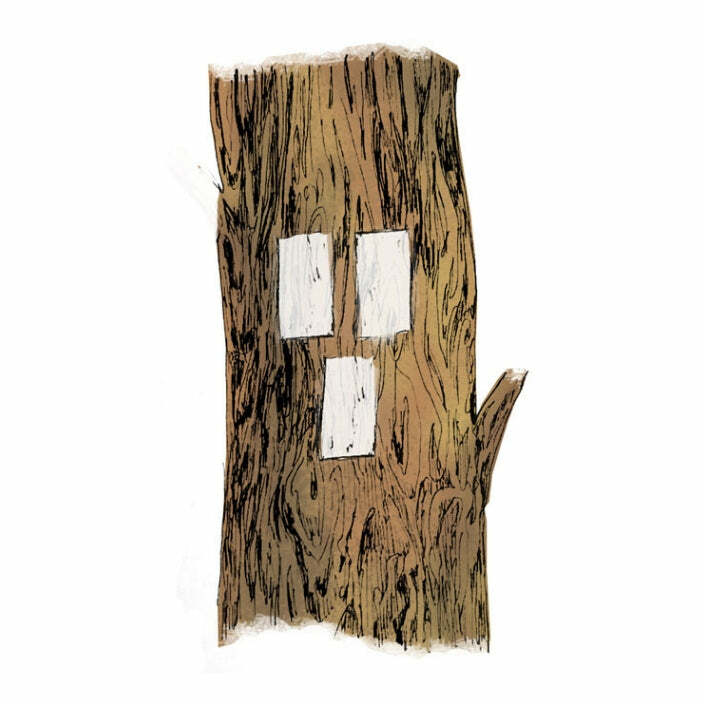 I'm curious... which type of trail markers do you find easiest to follow? Leave your answer in the comment box below.